Teachers are frequently concerned with how to manage problem behaviors in the classroom. 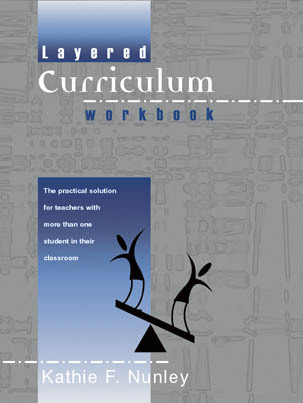 Classroom management books workshops, and seminars are very popular. I've always subscribed to the idea that if the curriculum and teaching methodology in the classroom is working, classroom management is largely, a non-issue. There are three main premises to keep in mind when setting up your school or classroom in order to avoid problematic behaviors. First, make sure you tell students what behaviors you are expecting or what behaviors they need to exhibit rather than telling them what not to do. For example, �be here before the bell,� as opposed to �don't be tardy�. Or "remain quiet during teacher instructions" is preferable to "no talking." Secondly, make sure that you are providing consequences for following the rules as opposed to consequences for not following the rules. Lastly, and perhaps most importantly, the people in your building need to put a lot of thought and discussion into ensuring that being inside the school and inside the classroom is a more positive experience than being outside the room. Extra time in the classroom should never be used as a punishment. Having to stay in during lunchtime, stay in during recess, or stay in after school, as a punishment for misbehavior indicates that the general consensus is that being in school or in the class is less desirable than being outside the class. If ISS or in-school suspension seems to be a greater punishment than out-of-school suspension, why? What is going on in the building that makes it so uncomfortable? What can be done to change that? Again, the overarching philosophy in a school building should be one that is positive, encouraging, and promoting positive emotions. This means spending the majority of our behavior managment time and effort outlining our expectations, providing consequences for those students who follow rules and meet expectations, and making sure that for every student, being in-chool and being in-class is preferable to be outside of the building. This is accomplished by providing students with choice, a sense of control, and a safe place to explore personal best practices for learning.